Palm Beach County and diving enthusiasts attended a ceremony celebrating the protection of marine life Thursday afternoon. 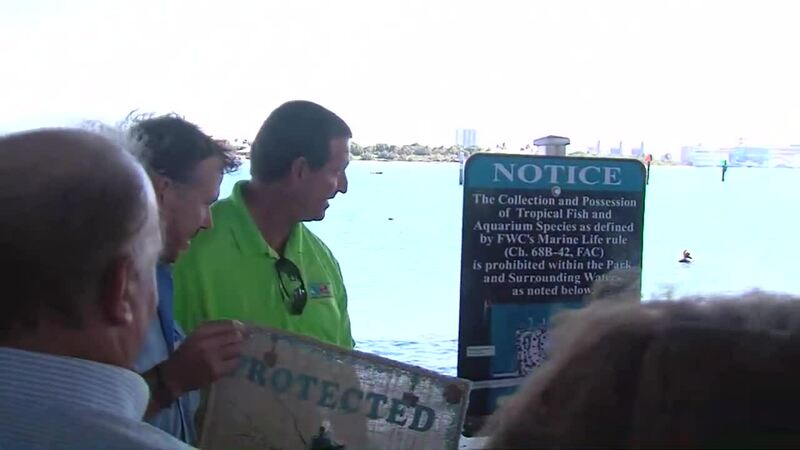 RIVIERA BEACH, Fla.-- The collection and removal of tropical fish is no longer allowed at the Blue Heron Bridge and Phil Foster Park. Palm Beach County and diving enthusiasts took part in a ceremony celebrating the protection of marine life Thursday afternoon.